Is Sleeping Too Much Bad For Your Health? We all know it’s important to get enough sleep. Obtaining quality sleep on a regular basis is essential for sustaining a healthy body and mind, staying on top of daily responsibilities, and maintaining our productivity at work. But in our quest for a good night’s sleep, it’s possible some of us are getting too much of a good thing. Research suggests that consistently sleeping for more than nine or 10 hours a night may come with its own set of risks. 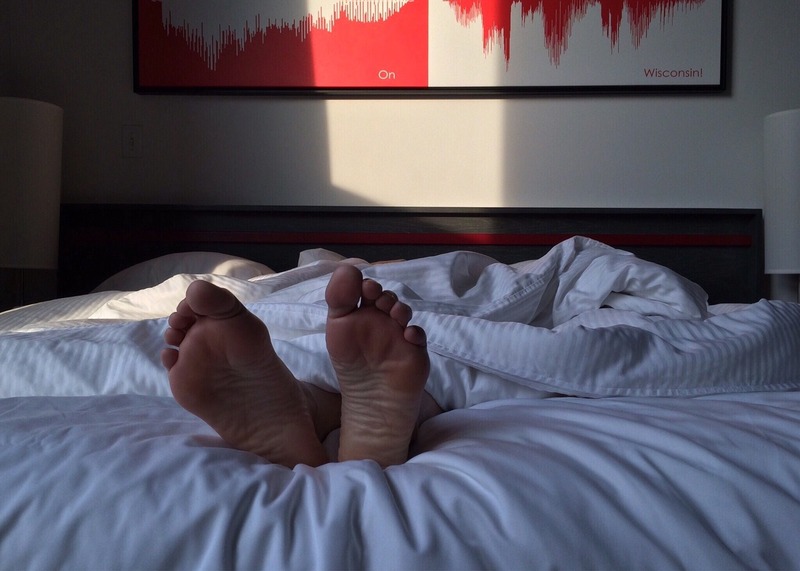 Here’s what you should know about the potential consequences of prolonged snoozing. People might sleep too much for a variety of reasons, which can range from depression to sleep apnea, narcolepsy, thyroid problems, heart disease, undiagnosed illnesses, the use of certain medications, spending too much time in front of screens at night (which can disrupt the body’s sleep-wake cycles as a result of exposure to blue light), and/or a rare disorder dubbed hypersomnia. No matter the cause, the consequences of sleeping too much aren’t great. Here are four reasons why oversleeping may not be good for your health. It may increase the risk of chronic illnesses. There’s evidence to suggest that regularly sleeping too much may increase the risk of developing diabetes, dementia, and heart disease. Chronic oversleepers may also be at a higher risk of stroke and even early death. Additionally, sleeping too much is linked to increased inflammation, which is a risk factor for a large variety of chronic health issues. It can put a damper on your mental health. Oversleeping on a regular basis is linked to an increased risk of depressive symptoms. Ironically, depression can also lead to oversleeping, which means the two conditions may reinforce each other in a negative feedback loop. Even if someone doesn’t experience full-blown depression, there’s some evidence oversleeping may lead to a more negative mood. It can impair your cognitive function. While not getting enough sleep can hamper your brain’s ability to function properly, newer research suggests the same may be true for getting too much sleep. Sleeping for nine hours or more at a time is associated with that fuzzy, foggy feeling that can make it harder to concentrate, think clearly, remember things, and perform other mental tasks. This is doubly true for anyone who experiences depression as a result of oversleeping, because depression is also linked to impaired cognitive function. People who oversleep may experience pain-related issues in the form of chronic headaches, back pain, and/or a more generalized, achy feeling. Researchers believe this is because oversleeping may disrupt neurotransmitters in the brain, which can provoke headaches. Meanwhile, the reduced physical activity that stems from spending lots of time in bed may account for back and body aches. These aches and pains might also be the result of spending long periods of time on an uncomfortable mattress. If you occasionally catch up on sleep with a long snooze over the weekend, don’t panic. But if you’re consistently sleeping for 10 or more hours a night, it may be time to check in with your doctor. They’ll be able to help you determine if an underlying health issue is contributing to your tiredness and develop a sleep schedule that’s ideal for you. Kenny is a serial entrepreneur focused on media and health at JAKK Media. In his spare time he loves to play jazz piano and get into shenanigans around Brooklyn.